Description：Buoyed by a recovery in domestic demand, the purchasing managers index accelerated to 50.2 in November from 50.1 in the previous month, exceeding market expectations of a reading of 50.1, according to the private survey on Monday. 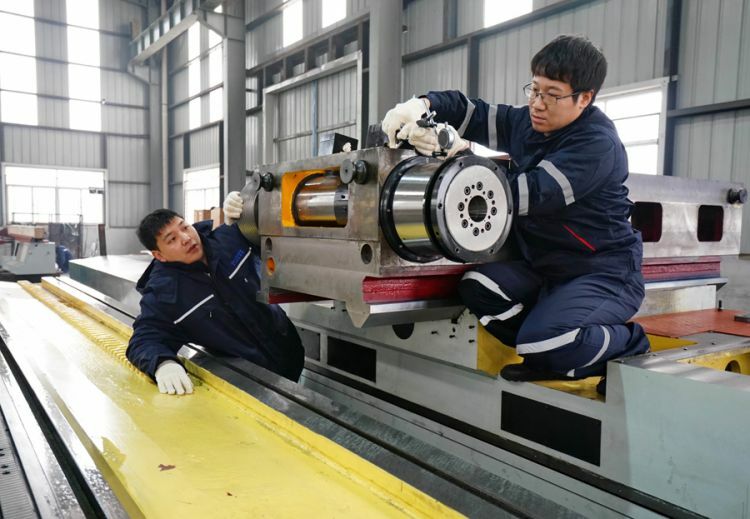 Manufacturing activities in China witnessed better-than-expected growth in November, according to the latest survey by Caixin, adding some promising signs to the economy although downward pressure persists. Analysts expected more easing measures to be rolled out early next year to boost the manufacturing sector. Buoyed by a recovery in domestic demand, the purchasing managers index accelerated to 50.2 in November from 50.1 in the previous month, exceeding market expectations of a reading of 50.1, according to the private survey on Monday. The indicator reflects a slightly different scenario compared to official data released earlier last week, as the manufacturing PMI for November stood at 50, which was 0.2 percentage points lower than that of October, according to the National Bureau of Statistics. The sub-index measuring new orders edged up slightly to 50.9 in November from 50.4 in the previous month, indicating mild recovery, while the output prices sub-index fell to 49.8 in November, suggesting downward pressure for profit gains, according to Caixin data. "A rebound of the new order sub index reflects recovery on the demand side, which may have been boosted by the recent policy to support the private sector. New exports orders, which extended their decline in November, showed that exports have been undermined by trade friction," Zhong Zhengsheng, director of macroeconomic analysis at CEBM Group, wrote in a research note. While a negative impact on investment sentiment by external challenges may be sustained into early next year, more supportive measures to boost the economy will be helpful to cushion downward risks, according to analysts. Cheng Shi, chief economist of ICBC International, said the manufacturing sector, which has played a key role to help stabilize the economy in 2018, may face risks in the year ahead, clouded by uncertainties globally. Some supply-side measures, such as tax cut policies, may help the sector to achieve high-quality growth after policies come into effect, he said. The value-added tax reforms, where tax applied to enterprises in the manufacturing sector may be reduced from 16 percent to 14 percent, will reduce tax revenues by at least 1 trillion yuan ($145.1 billion), according to Cheng. Amid some worrying signs that economic expansion may be muted in the fourth quarter, the central government made a number of announcements earlier this year to stabilize growth and pledged to improve market regulation to ensure a fair business environment.